Q: What would you do if you’re cast for [the show] “I Am A Singer”? A: I’m already a singer. Actually I’m into Cho Yongpil’s songs these days. I’ve not heard domestic music that much, so I never thought I’d like them. But while listening to Cho Yongpil’s songs and watching his performances, I found out what I had felt I’m lacking in. Instead of appearing, I’d like to make an effort to be a better singer. Just on the assumption that they ask me to appear. +) Cine 21 asked 10 magazine directors about ‘the best article of our magazine’, and F.ound Magazine’s director answered, “Taeyang interview – we dug up another side of an idol in the way only we can show”. After CL rapped a song from Rihanna and Nicki Minaj, Minzy came up singing ‘Where U At’ and then Look Only At Me’. Then TaeYang came out! TaeYang hugged Minzy and then they have a dance battle. Besides dance battle with TaeYang, there was also a dance battle with YG dancers after that. After the dance battle is done, TaeYang ‘really’ performing then. He performed ‘Superstar’ and ‘Where U At’. Some said he even took off his shirt!!! Kim Boram tweets about Taeyang’s Stage on 2NE1 Nolza Concert! YG's with campaign provides NOLZA concert tickets to 30 children! 2NE1 impressed netizens with their compassion after it was revealed that the girls reserved free seats for 30 childre from low-income, multicultural families for their first concert, 'NOLZA'. The 30 children are from the ‘Holt Welfare program’, an organization that received $100,000 USD in donations from YG Entertainment to support 100 children earlier this year. One child happily commented, “I’ve always loved 2NE1 so I’m glad that I received an opportunity I never could even dream of.” The members themselves added, “I hope that we can provide strength through our concert for the children who are working hard to live life day to day.” ‘NOLZA’ will open on August 26th and run through the 28th at the Olympic Hall. codeboram: Taeyang !!!!!! 2ne1 play a concert on the 26th 6:00 ~ ~ crazy Olympic Hall was ready to tone ~~~~~~ yo ??!!??? J.Y. Park and Yang Hyun Suk recently participated in a fun game that had them name artists they’d scout from each others’ companies. Taeyang's photo, taken with a fan in Jeju Island, was uploaded on a Korean portal site with the caption, "Taeyang with a Chinese fan in Jejudo". 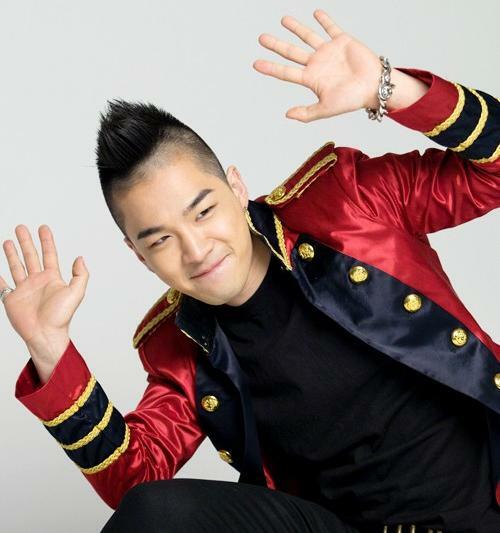 In the photo, Taeyang, who was wearing a scuba diving outfit, posed with a Chinese fan smiling shyly with his left hand covering an embarrassing part. "I can now feel the heat of the sun (Taeyang in Korean means sun)." 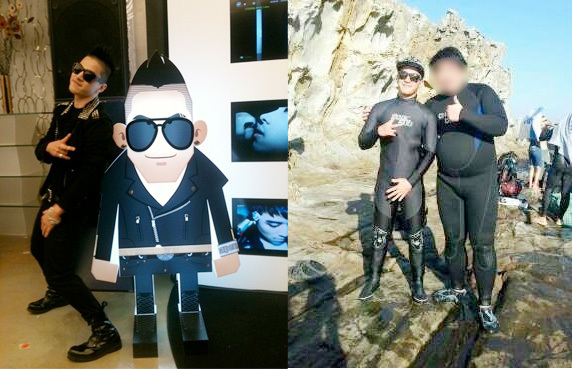 "His left hand is called the manners hand"
"Skin scuba outfit is now full of Taeyang's force." Taeyang Twitter Update: Solar Concert 1 Year Anniversary! SOLAR CONCERT 1주년 그때의 감동은 아직도 제 가슴에 남아있습니다.. 더 늦기전에 다시 만나요 Thank you.. Translation: SOLAR CONCERT 1 year anniversary The feeling then of being deeply moved still remains in my heart.. Let’s meet up again soon Thank you..! Dong Hyun Bae(Taeyang's brother) has taken part in a drama of TvN, 'Flower Boys, Casting oh! Boy' . The drama will be shown on TvN in the first half of the next year. The story is about what happens to a band of a high school which tries to cast new members for their team. Dong Hyun Bae does not only look as charming as his brother does but he is also an intelligent and talented performer. Having pursued a degree of acting, Dong Hyun Bae has shown his potential as ac actor in the film,'Transformation Story' and he shows that he is advancing to be a successful actor step by step. Meanwhile, the video showing his starring in the drama will be broadcasted at midnight of 3rd of October. 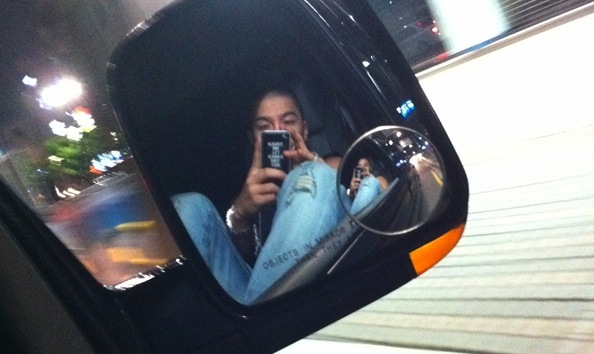 Fans are both curious and concerned for Big Bang’s Taeyang‘s cryptic message on Twitter. 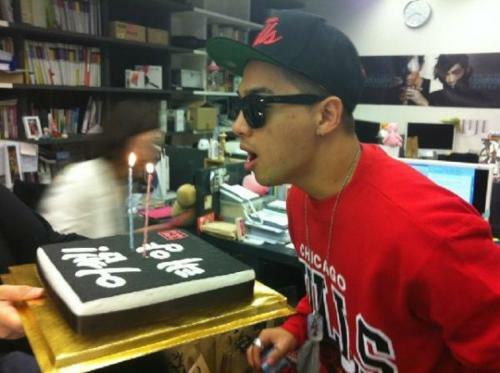 Taeyang tweeted on the 1st, “You think I don’t know but I know everything. You think I’m being deceived but I’m only pretending to not know” and he didn’t leave any clues to whom he was sending the message to or why. Taeyang’s senior colleague at YG, Seven replied to the tweet, “What’s wrong Youngbae (Taeyang’s real name) hey~ You and I should meet… let’s meet up next week!! ^^” and it seemed like he was trying to calm Taeyang down. Fans are making all sorts of speculations of what’s really going on in the conversation Taeyang and Seven had on twitter. Some have said, “Maybe the members of Big Bang are not getting along”, “Is it the season of autumn that’s causing him to be this way”, “Maybe it has something to do with the management company”, and all sorts of ifs and maybes were said. 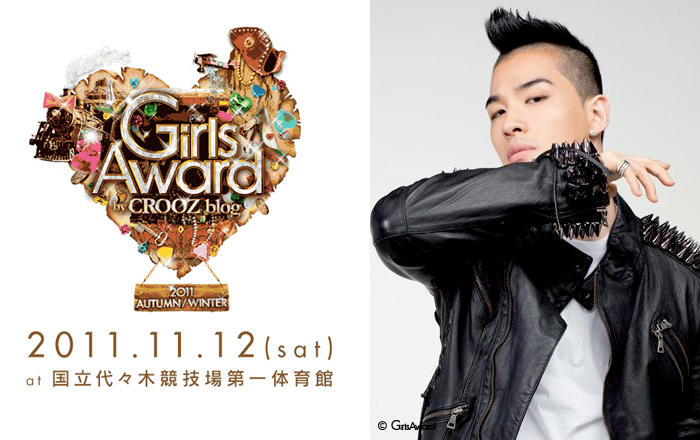 Taeyang & 2NE1 to perform @ Girls Award by CROOZ blog 2011! Girls Award is one of the biggest fashion shows in Japan. Similar to TGC, the event targets female clothing market with emphasis on street-casual fashion; and the show is concert-like with performances from popular artists beside the catwalk. This year theme is “ADVENTURE” and it’s creating quite a buzz because Japanese actress Erika Sawajiri will be making an appearance at this event. A total of 100 guests are expected to appear at Girls Award including 2ne1, Taeyang, models, and other artists. Big Bang’s Taeyang and 4minute’s HyunA were picked as “the Next Rain and Hyori” by other idol singers in this week’s MBC Everyone’s “Weekly Idol.” The survey asked a group of real-life idols to pick “five idol singers with the most potential to follow in the success of Rain and Hyori” and the most votes were given to Taeyang and HyunA, who beat out the likes of BEAST’s Lee Gi Kwang, Jay Park, SNSD’s Yuri, and G.NA. In particular, it was reported that a lot of the members of Infinite, MBLAQ, U-Kiss, and B1A4 voted for HyunA, arousing the interest of many fans. MBC Everyone’s “Weekly Idol” has been garnering a lot of attention lately for this segment called “Real Chart! Idol’s Self-Ranking,” where current idol singers participate in various surveys. This week’s survey sparked more interest for the topic’s sensitivity and currency, as Rain just enlisted in the army last week and Hyori has been spending more time on show-hosting roles. The episode featuring this survey will be aired on Oct. 22. 'Tomorrow' will be released on 1st November. Αχ τι καλά ο Ταε θα βγάλει και άλλο cd το περιμένουμε πως και πως αυτό!!!!!!!!! Taeyang assures fans that Big Bang is doing fine! 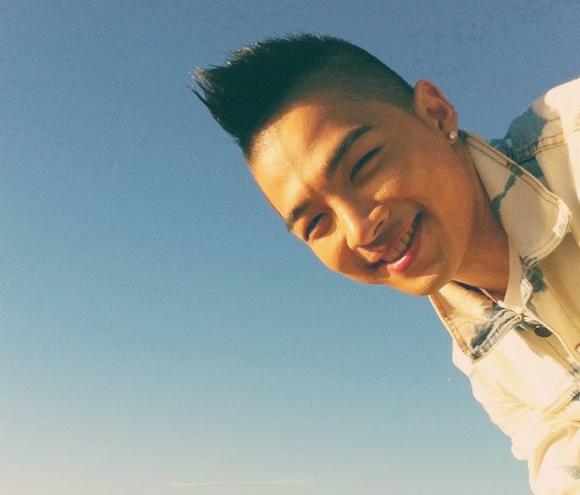 Big Bang member Taeyang recently reached out to fans with a message that revealed his feelings. 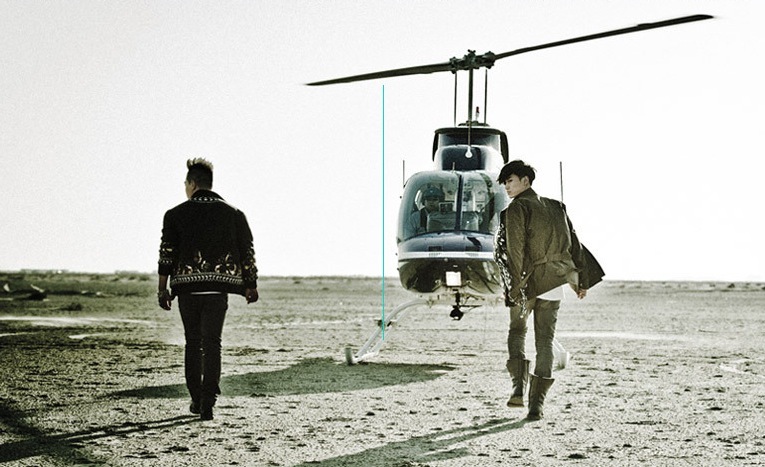 In the face of the controversies that group mates Daesung and G-Dragon are embroiled in, Taeyang’s words come across as assurance that the “Big Bang crisis”, as it has come to be known, is not going to happen. His succint statement caught the eyes of fans for its positivity. It is particularly significant in that it is the first such statement since Daesung and G-Dragon were involved in their respective controversies. Taeyang had previously tweeted a cryptic message at the start of October, saying: “I know everything, even though I seem like I don’t. I may seem like I’m being deceived, but I’m just keeping my eyes closed.” Fans guessed then that it had something to do with G-Dragon’s marijuana charge, but it remained as nothing more than mere speculation. However, his message this time clearly alludes to the abovementioned controversies. The phrase “made us stronger” also informed fans that far from posing a problems to their future activities, Big Bang has become tougher instead. 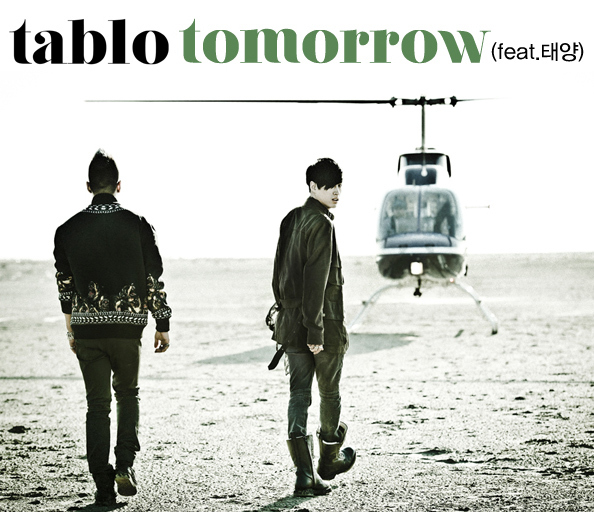 Taeyang talks about working with Tablo on "Tomorrow"
Q: How did you end up featuring in Part 2’s title song “Tomorrow”? TY: This song was recorded the first day Tablo-hyung came to YG. He let me listen to the song and suggested that it would be great if I featured on it. And I liked the song so much that we began recording immediately that day. Q: Have you always been acquainted with Tablo? TY: This was the first time working on music together, but I was aware that he had talked about me on broadcasts now and then when he was with Epik High. And I really like Epik High, too. I’m really happy that we’re in the same company now. Q: Can you briefly introduce the meaning of the song ‘Tomorrow”? TY: “Tomorrow” is about mourning the break up with a lover, saying “there is no tomorrow” until she returns. 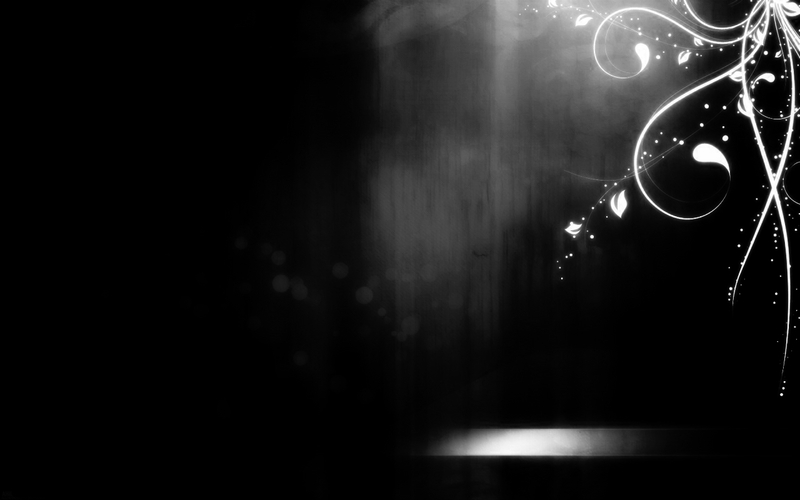 Being unable to move on from that moment and space, waiting for her to return. Q: Now that you’ve done this, do you have plans to ask Tablo to feature in your next album? TY: I can’t say anything specific yet, but I’ve been working on a lot of things with Tablo-hyung for the solo album I’m currently preparing. [We’re/I’m] working hard to produce good material, so please wait for it. Q: And any last message? TY: Tablo-hyung’s first solo album has finally come out. I’ve been listening to it every day, too, and it’s full of great songs. Tablo-hyung has returned with music after such a long time, and I hope you will all support him. And please listen often to the song I featured in, “Tomorrow,” too. Thank you. Q: This is your first collaboration with Tablo. A lot of people have been looking forward to it – how did you end up working together? TY: Actually, this collaboration on “Tomorrow” happened very suddenly. The day Tablo hyung came to YG for the first time, I was in the studio as always. Hyung let me listen to this song and suggested that it would be great if I featured on it. It was a really good song, and I thought it would be a cool project, so I recorded it immediately, right then. Q: What was the feeling you got when you first heard “Tomorrow’? What kind of emotion did you try to sing with? TY: The message I got from this song was one of despair, that “there is no tomorrow for me without you.” I tried to express that. Q: What kind of work would you like to do with Tablo from here on? TY: I’m working with Tablo hyung in a lot of directions/areas for the solo album that I’ve been preparing since the middle of the year. I can’t say anything in detail yet, but we share a lot of conversations about music. I think it’s going to be an important/precious relationship for me musically. Veteran actress Song Chae Hwan guest-starred on the November 8th episode of SBS ‘Strong Heart‘ and introduced her two kids. After sharing her story, she called in her two children and introduced them to everyone on set, and everyone was shocked once they made their appearance. Her daughter Park Soul resembled SNSD‘s Yoona, and her son Park Yesung resembled Big Bang‘s Taeyang- neither one of them were ugly in the least. The two ended the show by exclaiming, “Strong Heart, every Tuesday night!”, which caused everyone on set to laugh warm-heartedly. On the episode of 'Beatles Code 2' that aired on the 29th, Jaebum, who featured, was asked "how do you rank yourself among dancing idols," to which he answered, "I think I would be in the Top 5," showing his confidence. To answer "Jaebum's choice for the best dance skills among idols," he said, "I think Taeyang is the best at dancing,' and chose Big Bang's Taeyang as number 1. "Super Junior's Shindomg is also good at dancing. He is good at rocking and popping," making MC Shindong happy. He continued to say "Shinee's Taemin and Super Junior's Eunhyuk are also good dancers." Then Jaebum and Shindong had a dance battle, which gathered a lot of attention. Jaebum showed his skills first by doing an amazing break dance, and Shindong did a powerful dance with a comical side, causing laugher. Nine Muses and Park Eunji were also featured in this episode.